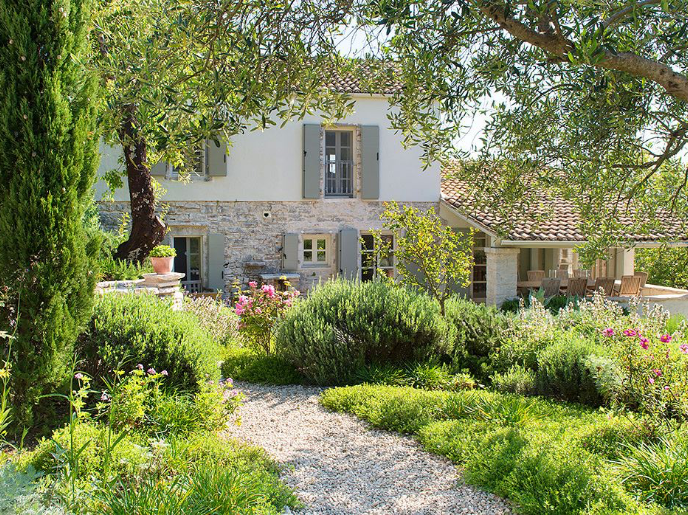 Retreat to The Rou Estate and enjoy the privacy of your own villa in an oasis of natural beauty. And tucked away in the tranquil gardens there is so much more to discover; yours if you want it, not if you don't. 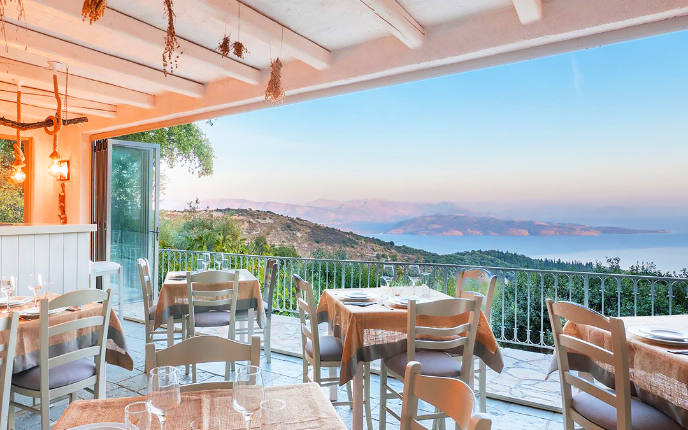 A private chef can be booked to come to your villa (prior booking is advisable in the summer months) and there is a delivery service available from a local taverna. De-stressing? Relaxing? Nurturing? Vigorous? Your spa experience is whatever you want it to be. The wide range of massages (described by guests as ‘out of this world’) includes Ayurvedic, traditional Thai, hot stone and sports massages. You can also pick and choose from a menu of body wraps and scrubs, facials and a host of luxurious pampering options. The magic happens in The Granary Spa. 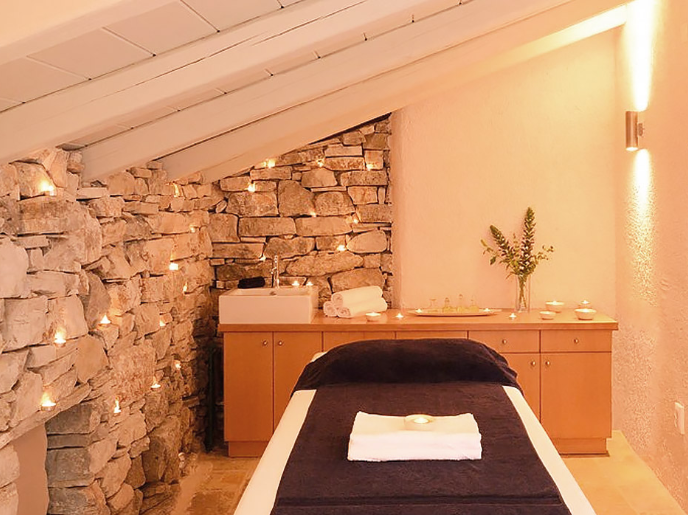 Tea lights twinkle from the nooks and crannies of the solid stone walls and the air is fragranced with the oils used in the experienced massage therapist’s personal blends, all chemical free. How much time you spend there is entirely up to you. For all treatments available please see our treatment menu below. Life asks us to spend a lot of time in our heads – planning, organising, analysing, thinking, thinking, thinking – and yet exercise, even the gentle kind, is a shortcut to feeling calmer, stronger, healthier and much less stressed. The Rou Estate makes getting physical rather effortless and you can set the pace. 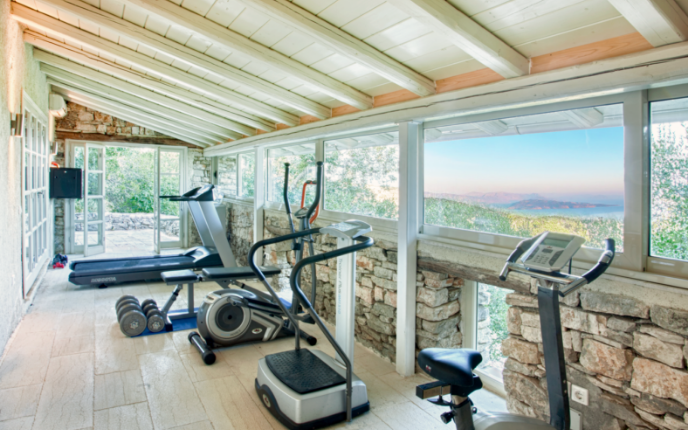 The gym has a sea view and personal training can be arranged (payable locally). Treadmill, cross trainer, exercise bike, weights bench with weights, crunch bar, air conditioning, CD player with USB slot and water cooler. Dominic Skinner, the architect of The Rou Estate, envisioned the landscape unfolding as a series of outdoor rooms, each unique yet linked to the others. As a result, external and internal spaces are harmonised visually, connecting inside and outside living spaces with the stunning sea and mountain views beyond. 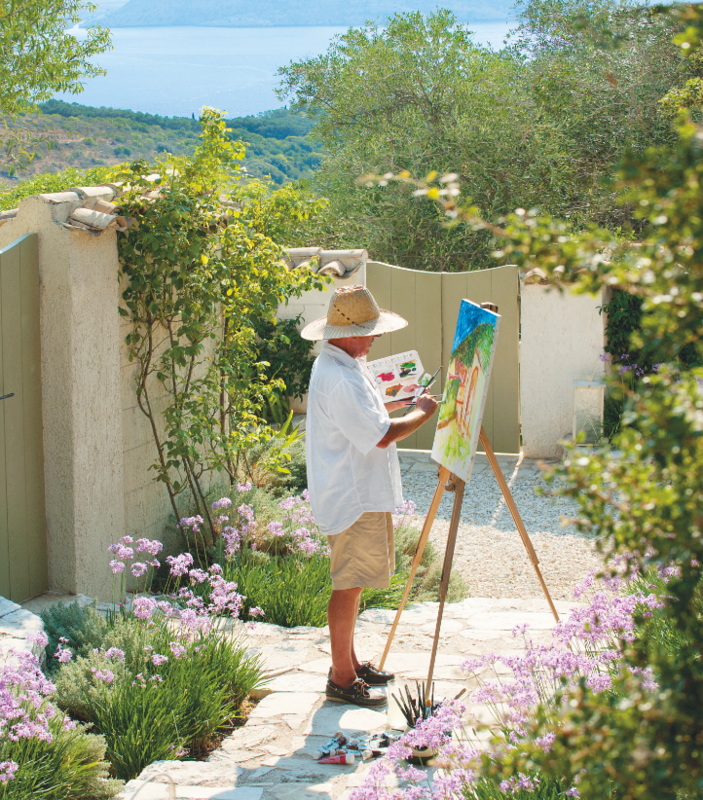 There is a range of lifestyle opportunities which our Concierge service can arrange for you. As some of these activities are very popular, it is recommended to check availability in advance. Professional, unobtrusive service has always been the hallmark of Simpson Travel and The Rou Estate is no exception. Our friendly team have a wealth of local knowledge, ensuring that your holiday is comfortable, relaxing and inspiring in equal measures. For breakfasts, we can arrange for freshly-baked bread and pastries to be delivered every morning, as well as groceries if you want to take advantage of your fully-equipped kitchen. You’ll also find a welcome pack on your arrival with a selection of tasty local ingredients, so relaxing rather than shopping is all you need to think about on your first day. All our houses on the Estate are given a light clean six days a week and maintained to the highest standards by the Estate Manager and the Estate Technical Support who are responsible for the safety and smooth running of all aspects of the village. And remember – if anything isn’t quite as you expected or you need help or advice about any aspect of your holiday, just talk to our Estate Manager. We always aim to tailor holidays to suit you, so there’s no need to put up with something that isn’t just as you’d like it.